Be a High-achiever, not a Perfectionist. In a very select few areas of human endeavor, high achievement and perfectionism go hand-in-hand. Michelangelo was a perfectionist with his brush. Robert Frost was a perfectionist with his pen. For these, perfectionism paid off. But however counterintuitive it seems, for the vast majority of us, perfectionism kills our efforts to be truly high-achieving. Here’s why perfectionists are rarely high achievers. Perfectionism and procrastination are closely associated. True high-achievers tend to dive in and get started on tasks. 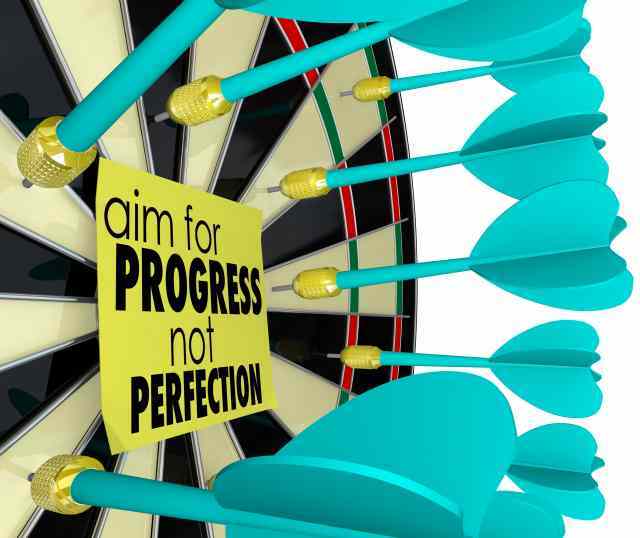 Perfectionists tend not to start a task until they have a perfect plan, a perfect understanding of their objective, a perfect vision of the goal, etc. When faced with deadlines, high-achievers can modify their expectations and adapt their strategy to meet the deadline. Perfectionists tend to continue to plod at the same pace with the same attention to detail and deliver a great result…but late. Sometimes late just doesn’t cut it, no matter how good the result is. High-achieving people are willing to accept failures in their ongoing efforts to develop a new skill on their way to mastering that skill. Perfectionists are often too uncomfortable with failure, and tend to concentrate their efforts in areas they are good at already. As a result, high-achievers are much more likely to constantly expand their skills in a variety of areas. Not so much with perfectionists. Most remarkable achievements are contingent on the ability to work well with others in a cooperative effort toward common goals. High-achievers have similar high expectations of other people, but always within the abilities of other people. This draws out the best in people and helps them grow. Perfectionists tend to impose the impossibly high standards they have for themselves on others. It is very difficult to work either for or with perfectionists, so many capable people who might have helped a perfectionist be a high-achiever are simply driven away from them. Perfectionists are very often limited to the mediocrity that can be attained by working alone, because no-one can work with them. Perfectionists tend to reject criticism as a personal attack, no matter how constructive it is. In doing this they rob themselves of countless invaluable opportunities for growth. High-achieving people accept criticism, evaluate it for validity, then act on it or discard it after thoughtful analysis. With very few exceptions, perfectionism is a straitjacket that limits most of its victims to a lifetime of mediocrity. Willingness to accept imperfection along the way as part of the process to reach a high quality result is a trait of high-achieving people in most areas of human endeavor. Awesome article ! Very insightful !